Hello everyone! It's time for the August Pinspire Me challenge over at Paper Issues today. Mary Ann put together this amazing moodboard and challenges you to document your way of transportation. 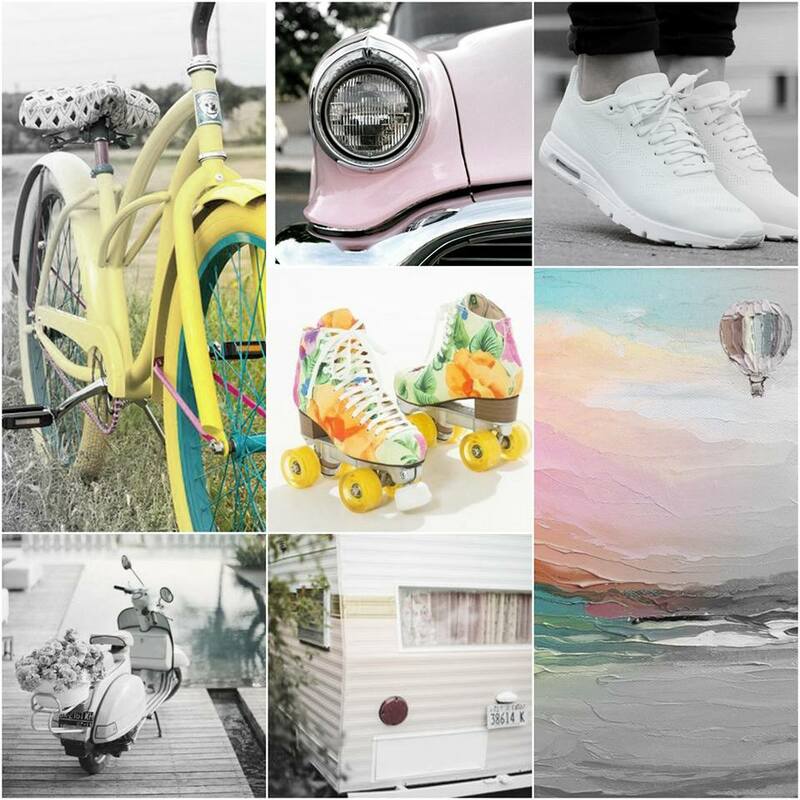 Of course you can also use this moodboard as an inspiration for colors you want to use on your pages. 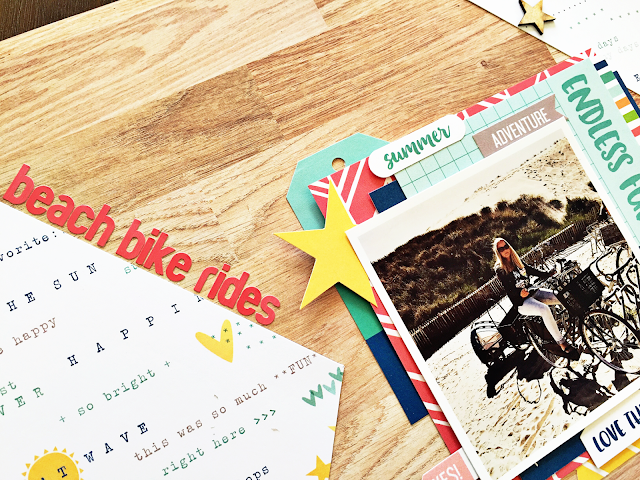 As a Dutchie I had to use a bicycle picture for my layout, obviously! 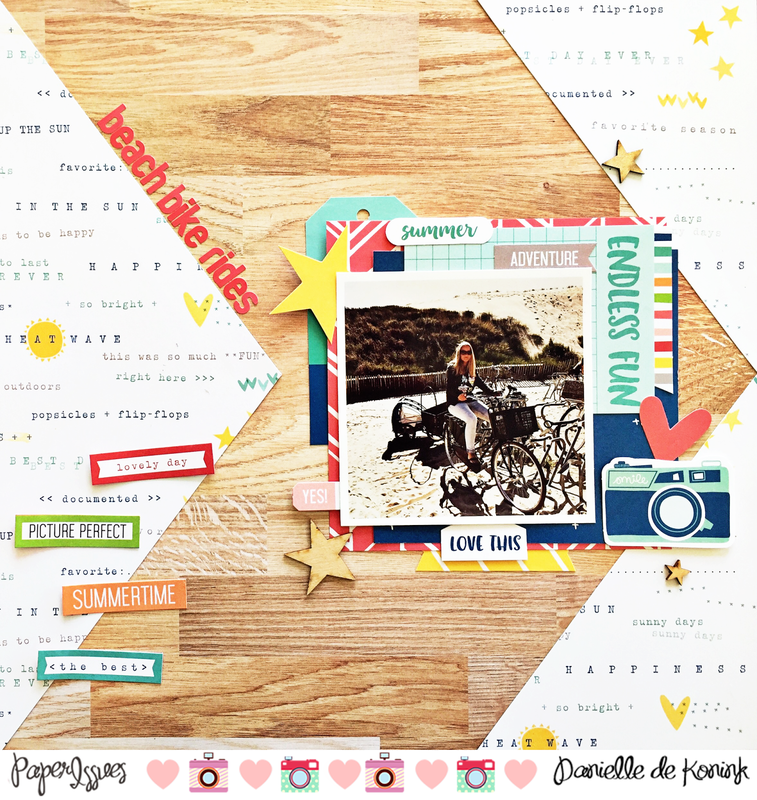 I tried to create some movement on my page by making a big arrow in the background. I used the Elles's Studio Sunny Days collection. 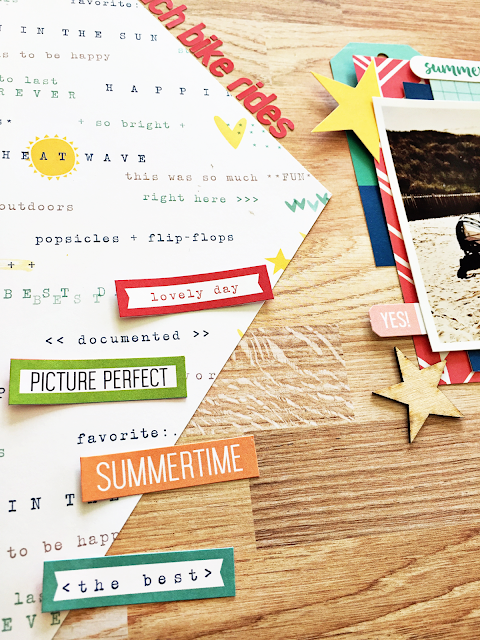 Check out the Paper Issue blog today for more inspiration by the team. 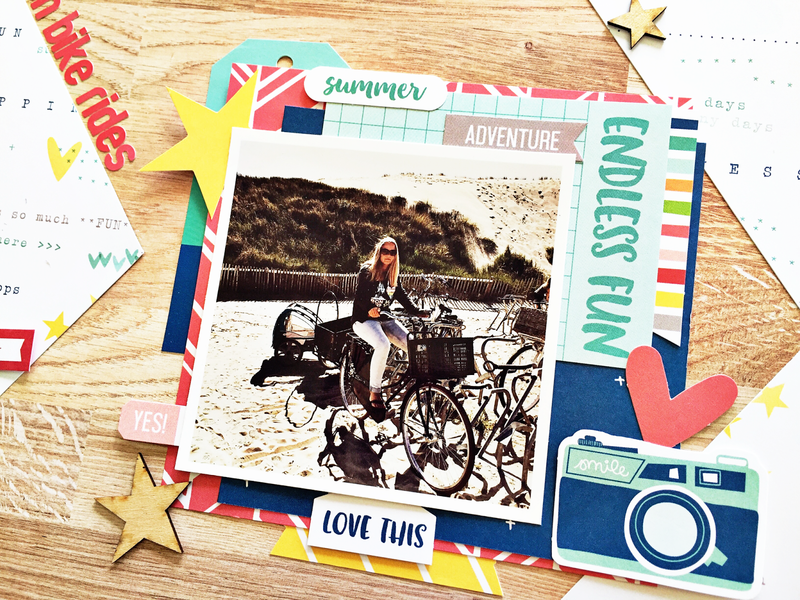 Wonderful moodboard and wonderful layout!